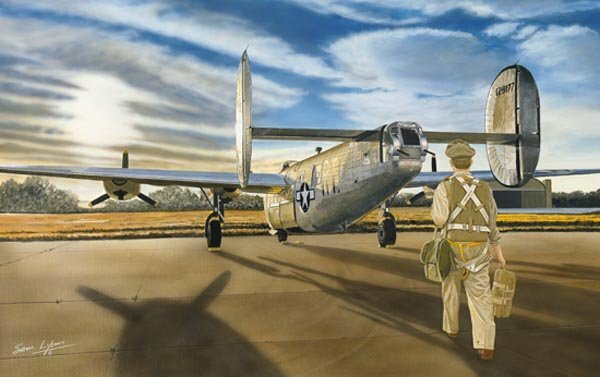 This magnificent B-24 painting is quite personal to aviation artist Sam Lyons. It's a tribute to Sam's father -- Samuel A. Lyons Sr., the pilot on "Ginger" -- and his crew. Sam Sr. survived the war but, sadly, Ginger was shot down 13 days after his last mission. Sam's dad was the one who inspired his love of flying and his resulting career.